Please follow directions shown on map indicated by the arrows. Alternatively, click here for a Google Maps version. 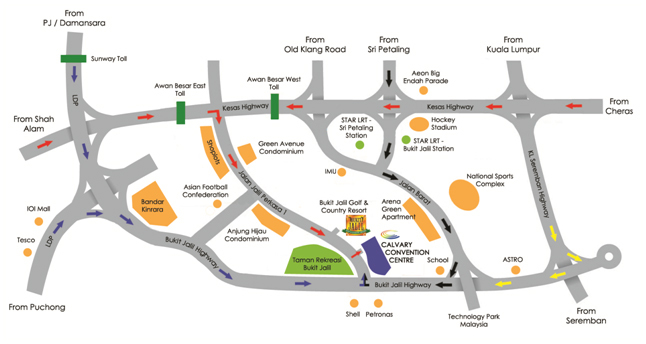 The entrance to the CCC building is on Jalan Jalil Perkasa 1 opposite the Bukit Jalil Park. At the guard house you will be directed by the Security Team to the parking areas. Patrons using the CCC building for their events will be given direct pass through access while daily visitors may be required to register at the guard house. To drop off your guests for easy access into the main auditorium; turn right after the guard house and you will be directed to the drop off point. There are no parking charges at the CCC. Proceed to park at either at the ground level or the basement car parks (3 levels) as directed by the CCC Security Team. 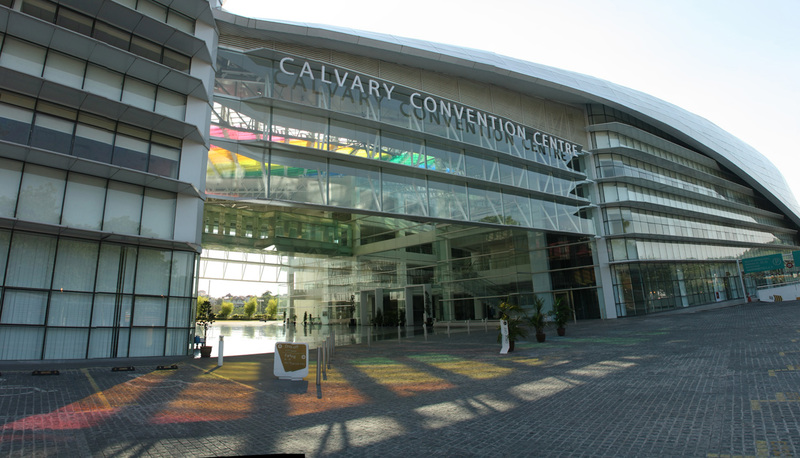 The Multi-Purpose Banquet hall has its own drop off point at the MPB Hall Lobby on Level B2. Important Note: Some of our basement level parking bays are marked with red lines and that indicates a tandem car park. You will be required by our Security Team to write down your mobile contact number on a slip of paper to be placed on your dashboard in case of a need to move your car. If you need to leave early or mid way before your event ends, park at the single parking spaces.